McKenzie Towne School Parent Association: Last Call for Playground Donations! If you/your company can donate any of the above services or materials for the build please email playground@mtsparents.com, by March 1st. If you haven’t already made a donation/pledge to the playground, please consider doing so at this time. Kindly make cheque payable to: Parks Foundation–McKenzie Towne School. Any donation over $25 will be issued a tax receipt, so please ensure a return address is also enclosed with the cheque. 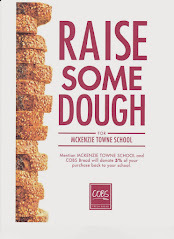 Donations can be mailed to or dropped off at McKenzie Towne School (c/o MTS Playground Project). Many companies have donation programs available to the community. If you haven’t already done so, it would be greatly appreciated if you could check with your place of employment for any donations they may be willing to provide. Remember to tell your employer that their donation will be matched! If you need a donation request letter to submit to your employer please email playground@mtsparents.com. We appreciate your prompt attention. All funds received by March 13th will be incorporated into the grant application and eligible for matching.